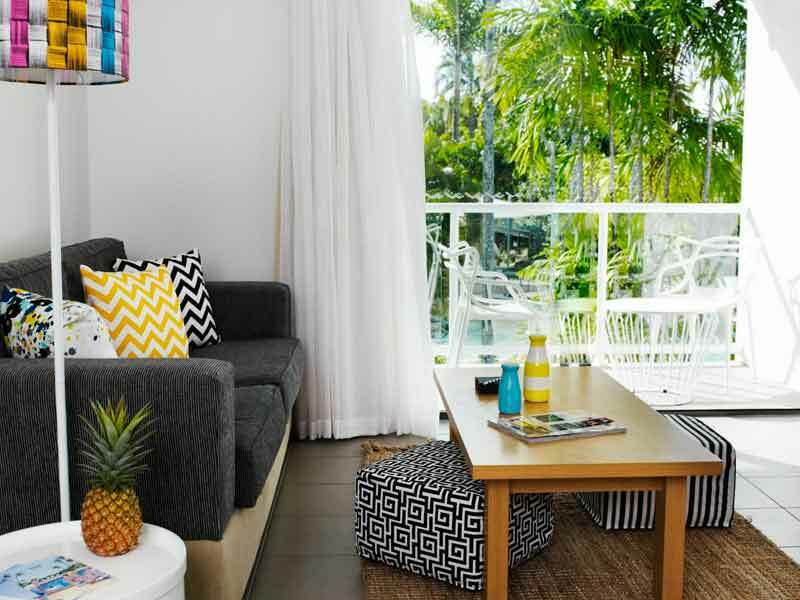 Your unique, North Queensland tropical paradise awaits you at Oaks Resort Port Douglas! 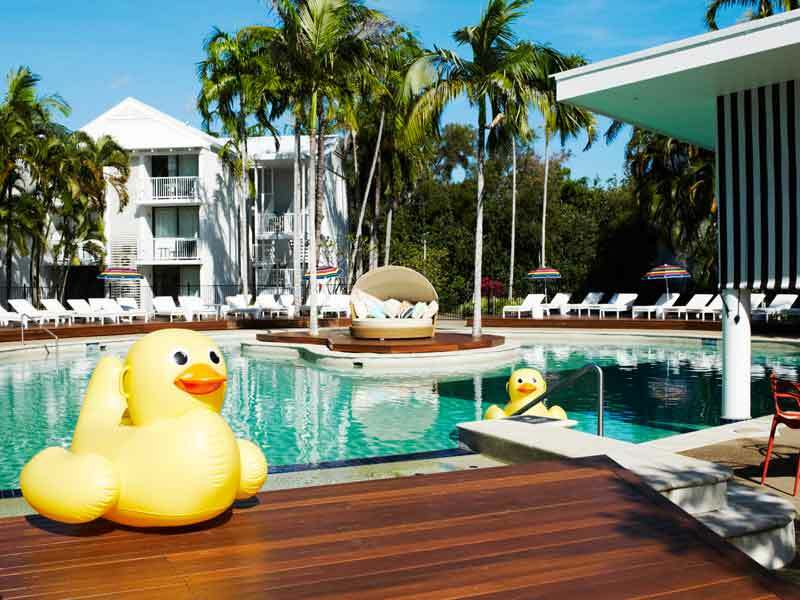 Boasting a contemporary yet quirky ambience, you’ll find a range of signature concepts and luxuries in this hip Port Douglas hotel. 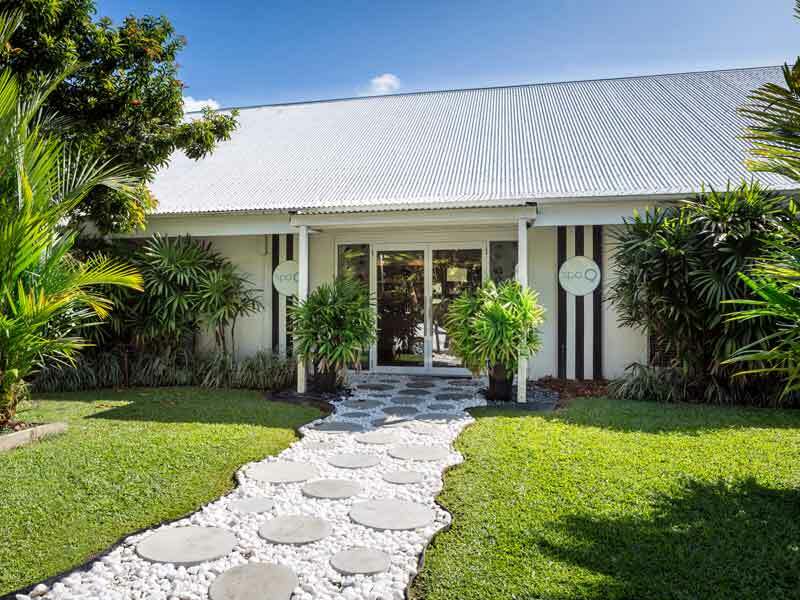 Find your tranquillity in the unique rooms at the Oaks Resort Port Douglas! Whether you’re a solo traveller, a family or a couple, there’s a room for you here. Each of the 170 spacious resort rooms are bursting with colour, glamour and style that set it apart from the rest. Enjoy views of the tropical gardens or resort lagoon while you relax on the quirky furniture inside the room and on the private balcony. 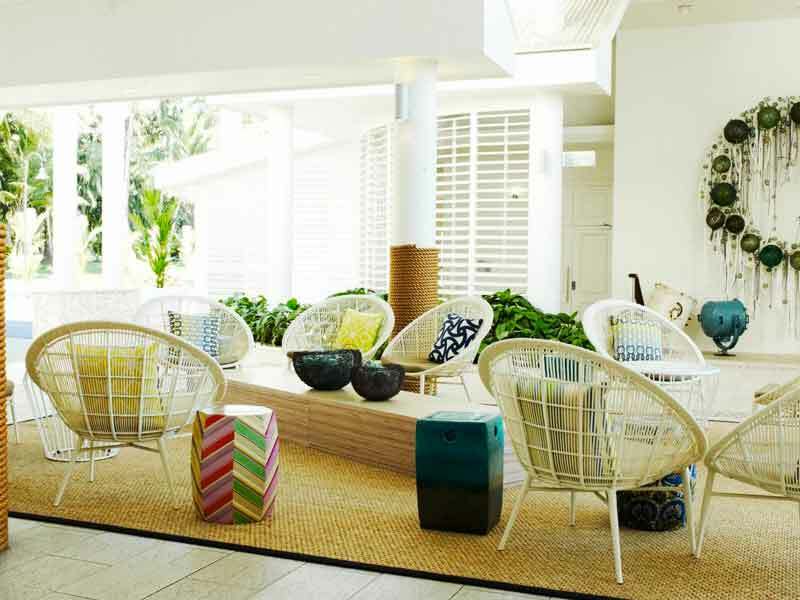 The rooms aren’t the only funky spaces at Oaks Resort Port Douglas. When you walk into the lobby to check in you’ll be welcomed by a sleek open-space that perfectly blends the tropical North Queensland feel with a one-of-kind design concept. 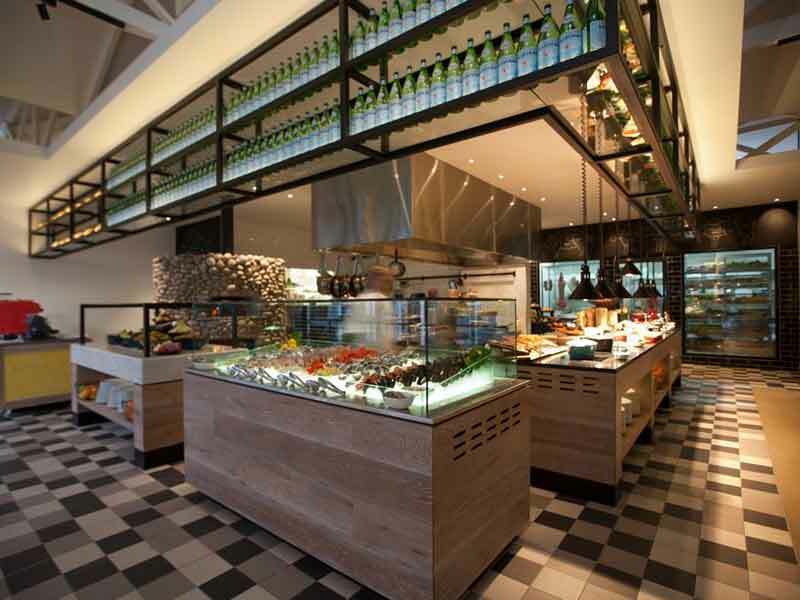 Exclusive to Oaks Resort Port Douglas, eat your meals in the interactive marketplace of Bazaar Restaurant. From exotic international dishes and gourmet fresh seafood to wood-fired pizza and melt-in-your-mouth rotisserie meats, each and every dish is right in front of you paired with a dedicated chef who will eagerly tell you the stories of their sumptuous creations. 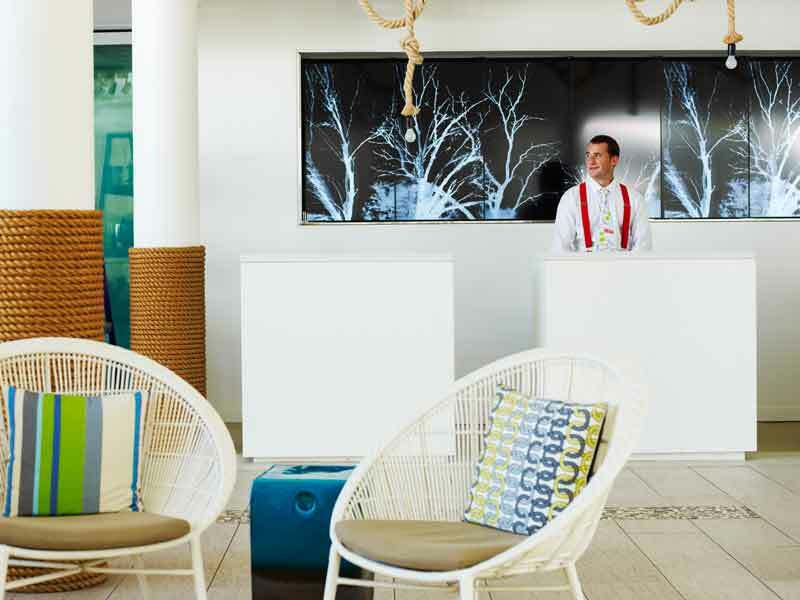 The hip and designer chic Estilo Bar is the place to be seen when you stay at Oaks Resort Port Douglas. Sip on a tropical cocktail while you kick back on the quirky furniture that surrounds the hand-crafter stone bar and tempt your tastebuds with the delicious tapas menu. SpaQ is place of relaxation at QT Port Douglas and the options for treatments are seemingly endless! Loosen up your muscles with a nurturing massage, nourish your skin with a facial or body exfoliation, brighten up your nails with a hand or foot therapy and top it off with a hair treatment. 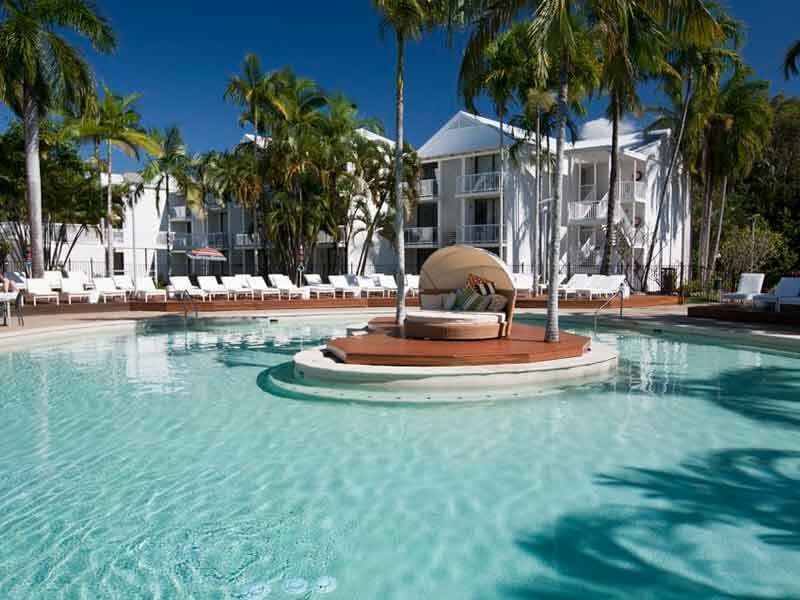 Why go to Oaks Resort Port Douglas? 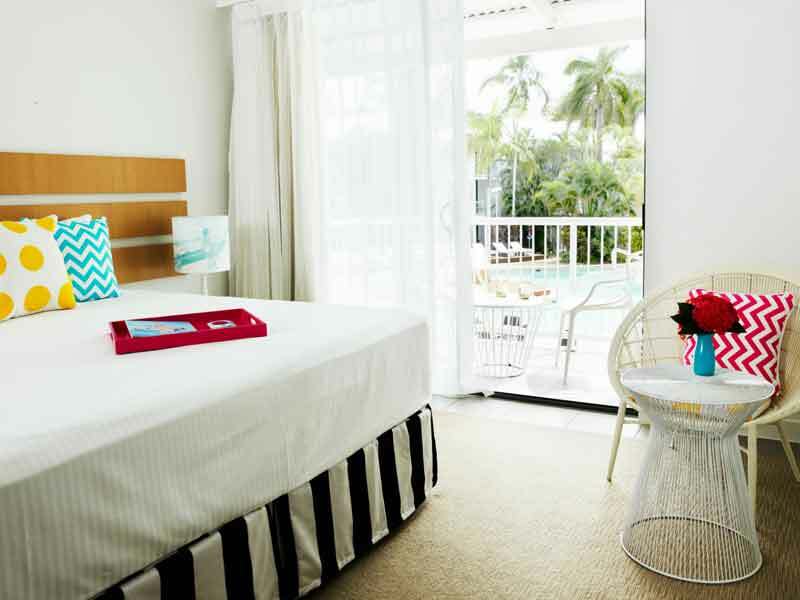 Escape to the luxurious Oaks Resort Port Douglas to be surrounded by contemporary style and signature concepts. Dine at Bazaar restaurant for a unique dining experience in an interactive marketplace radiating passion and flare; Spend the warm summer days in the lagoon-style pool where you can float over to the swim up bar for a refreshing beverage; Discover Port Douglas with the complimentary retro Bikes and much more. 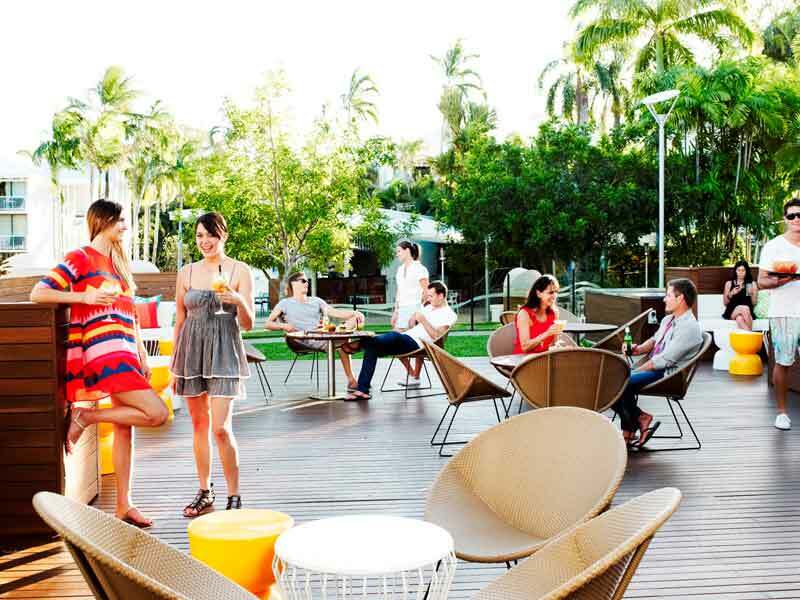 Oaks Resort Port Douglas is the ideal place to relax, unwind and discover the beauty of Port Douglas. Retire to this hotel-like apartment with first-class amenities. This accommodation, which features a private balcony with sitting area, overlooks a lush garden. Take advantage of the apartment’s entertainment facilities, like the flat-screen HDTV, and have a fun movie night. Also, enjoy your morning coffee or tea while you feast your eyes on natural scenery. You can even whip up your own breakfast in the well-equipped kitchenette. Last but not the least, who wouldn’t want to indulge in a luxury spa bath? Max room occupancy is 2 guests. Come “home” to this spacious and well-appointed flat complete with a cosy living space that is separate from the 2 deluxe bedrooms. Either the living area or bedroom is furnished with glass doors that lead to a private balcony. In the outdoor sitting area, you and your loved ones can enjoy a lovely sunrise or garden view. To ensure a good night’s sleep, you can choose between King and Twin beds. The dining area has a fully-equipped kitchen, while the lavish bathroom features a walk-in shower, tub and huge vanity. Entertainment amenities, such as an HDTV, are also provided. Max room occupancy is 5 guests. Just minutes from the Port Douglas township and Four Mile Beach nestled amongst tropical gardens is where you will find Oaks Resort Port Douglas. The resort is just over an hour from the city of Cairns and is an idyllic location for exploring Tropical North Queensland favourites like the Great Barrier Reef and Daintree. Eat your heart out at the unique interactive marketplace, Bizaar Restaurant. Open for breakfast and dinner the dining experience here is like no other. 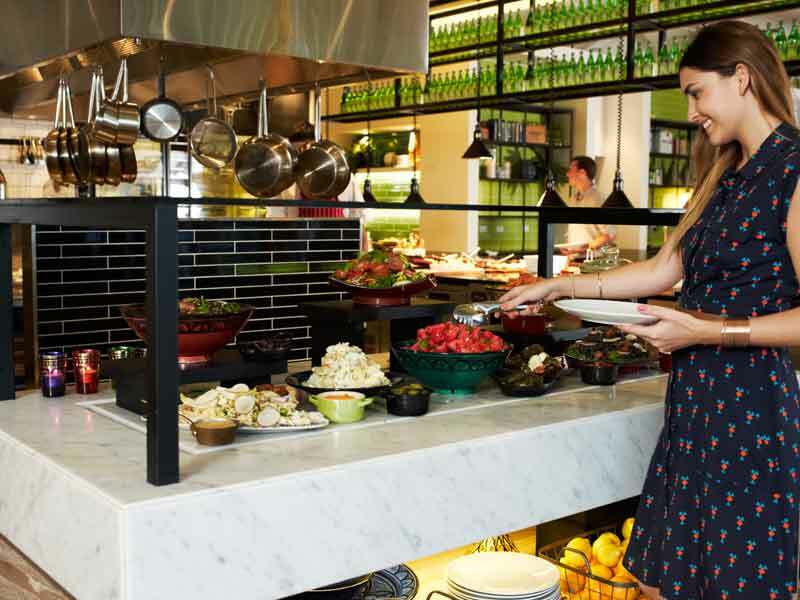 Inspired by a combination of traditional marketplaces like stalls and souks with a twenty-first century twist, picture a massive spread of foods for all over the world waiting for you to pile your plate. Once you’ve filled your stomach, quench your thirst at the quirky Estilo bar. Taste one of the exotic cocktails inspired the bars house rums, grab something to nibble on from the tapas menu and party into the night at the place to be in Port Douglas on a weekend. If you’re looking for a relaxing spa treatment or a beauty session before heading out, then look no further than SpaQ. Meet with your therapist before your treatment and customise your time at SpaQ to suit the you that is in that moment. Opt for a thermal massage to reduce inflammation and relieve aches and pains or book in for a body grooming sessions with both men and women waxing and brow & lash grooming. Spend your days in the pool, keep your fitness on track in the fully equipped gym and lap pool, take a souvenir home from the QTique gift shop, watch a film under the stars at the Outdoor Moonlight Cinema (winter months only) and explore the world around you with complimentary use of the retro Bikes! The service was impeccable by all wait staff/administration/cleaners etc. The room was clean and spacious with plenty of cupboard space and the bed was heaven. We ate at Bazaar and Estilo – the food at Bazaar was beautiful. The grounds are kept well maintained and the pool area is perfect to laze around. Overall, we would definitely return and had a lovely visit!